Micromax on 22nd April launched Micromax Canvas Spark Q380 in India and Registration for Micromax Canvas Spark Q380 has already started on 22nd April and last date of registration for Micromax Canvas Spark Q380 is 27th April. Micromax Canvas Spark Q380 will goes on Sale in India at SnapDeal.com on 29th April. Micromax Canvas Spark Q380 is a low budget smartphone with just a price tag of Rs 4,999. Micromax had launched Micromax Canvas Android one (A1) last year which was the biggest launch and the top selling smartphone. Micromax Canvas Android One (A1) was also a low budget smartphone with a price tag of Rs 6,500. Micromax A1 is the most successful smartphone by Micromax till now. Micromax Canvas Spark Q380 is now the next best smartphone under low budget after Micromax A1. Micromax Canvas Spark Q380 comes in a sleek and elegant body complemented by a cool metallic rim and Micromax Canvas Spark Q380 is available in two Colours: White & Gold and Grey and Silver. Micromax Canvas Spark Q380 is also very light in weight, the weight of Micromax Canvas Spark Q380 is just 134 grams and that’s pretty cool. Micromax Canvas Spark Q380 is a 4.7-inched or 11.93cm smartphone and Micromax Canvas Spark Q380 is very thin also. Micromax Canvas Spark Q380 has a 4.7-inched IPS qHD Display. The Screen Resolution of Micromax Canvas Spark Q380 is 540*960 and 16M Colour Depth. Micromax Canvas Spark Q380 also comes with Corning Gorilla Glass 3 and this is the best thing in Micromax Canvas Spark Q380 because you cannot expect Gorilla Glass in 4,999 Price tag. Gorilla Glass makes your phone more strong, tough and scratch resistance. Micromax Canvas Spark Q380 has 8MP Auto Focus (AF) Rear Camera with Flash and 2MP Front facing camera for selfies and video chat (Skype etc.). The lenses used in Micromax Canvas Spark Q380 camera are Largan Lens and OV sensor 8858. Micromax Canvas Spark Q380 can shoot videos at 720p. Micromax Canvas Spark Q380 has 1.3GHz Quad-Core Cortex A-7 Processor. The Chipset used is Mediatek MT6582M with 1,300MHz Clock Speed and ARM Mali-400 GPU. 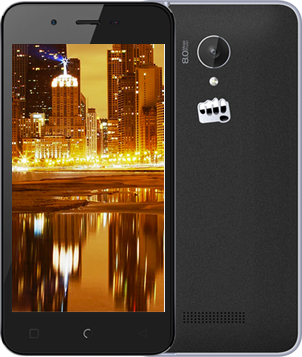 Micromax Canvas Spark Q380 has 1GB DDR3 RAM. Micromax Canvas Spark Q380 has 8GB ROM (Internal Memory-4.5GB for Apps and Mass Storage) and can be expandable upto 32GB. Micromax Canvas Spark Q380 runs on the latest version of Android Lollipop 5.0. Micromax Canvas Spark Q380 is a Dual SIM (Micro SIM) Smartphone. Micromax Canvas Spark Q380 has 2G/3G Connectivity. Wifi Enabled, Hotspot, GPS. Sensors: G-Sensor, Proximity Sensor, Light Sensor. Bluetooth. Micromax Canvas Spark Q380 comes with 2000mAh battery. Average Standby time 330 Hours and Average Talktime 7 hours. The Price of Micromax Canvas Spark Q380 is only Rs 4,999. Micromax Canvas Spark Q380 is right now available only on SnapDeal (SD) the online E-Commerce portal of India. No Update for other E-Commerce sites like Amazon and Flipkart. The Micromax Canvas Spark Q380 is right now available only on Register basis. The Registrations are already started on and the last date was 27th So, now the registrations are closed for 29th April Sale. Micromax Canvas Spark Q380 will go on sale at SnapDeal on 29th April, 2015. After this sale Registration again starts so stay updated or the best way is to Hit Notify Button on registration page and when the registration starts again you will get the msg/mail about the same. After Registering Micromax Canvas Spark Q380 then wait for the sale day and then on Sale day “Add to Cart” option will be activated and Add the item to cart and then place an Order and select payment mode as per your convenience. You will get Micromax Canvas Spark Q380 in some days or the next day if Next Day Delivery is available on your Address. What you think about Micromax Canvas Spark Q380 and can you compare any device with this Micromax Canvas Spark Q380, if yes then drop your comment below and if you want any phone to compare with this Canvas Spark, so please let us know we will compare the phones for you and what you think about the Price of Canvas Spark. Are you satisfied with this phone? Please drop your comments in the comment box below. Your comments are always welcomed.